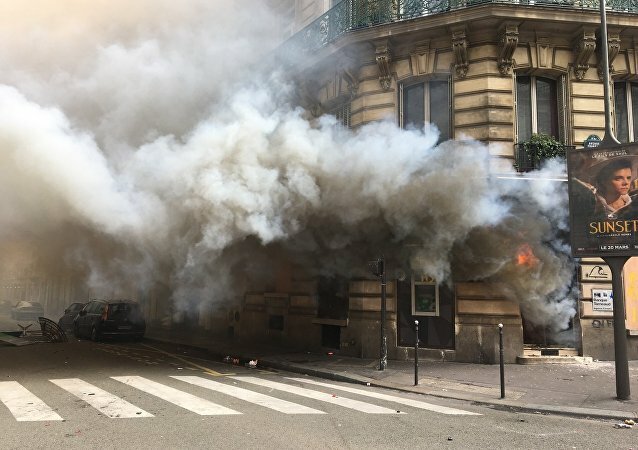 Riots in Paris to celebrate 4 months of Yellow vest protests. Yellow vests sent an ultimatum to President Macron. 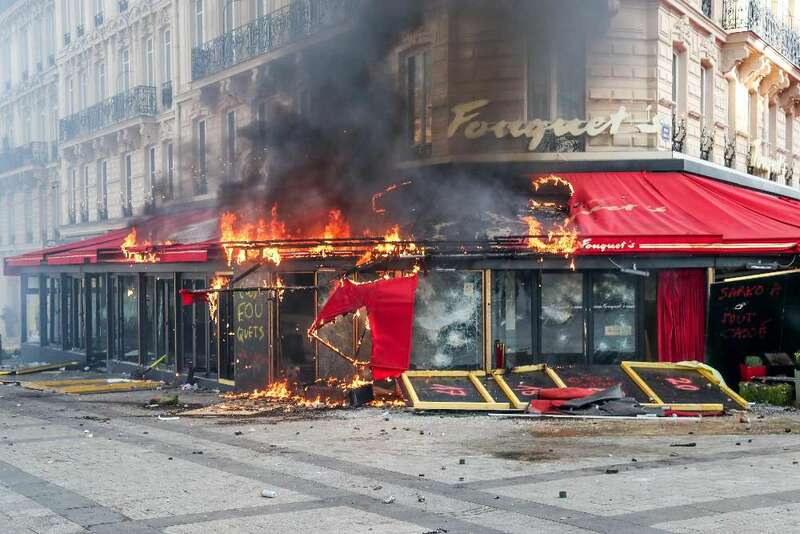 Rioters won't hesitate to attack cops, burn more banks and loot shops until they invest the Elysee. The French Government is planning to enforce a law that forbid French citizens their constitutional right to protest. 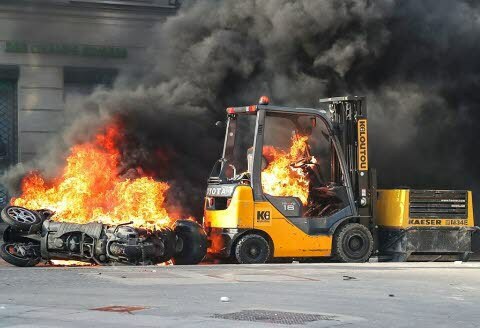 They just did this in Sweden! Came with a law that forbids, that is. "Spain on Thursday finally passed its new controversial Citizen Security Law which opponents say will severely limit civil liberties in the country." The unpopular law contains retains existing fines of up to €600,000 ($746,000) for unauthorized protests outside buildings "which provide basic services to the community", a definition that encompasses everything from hospitals to universities and the Spanish parliament. The new law, which the government argues will ensure public security, also forbids the photographing or filming of police officers in situations where doing so could put them in danger. This could result in a fine of up to €30,000. Showing a "lack of respect" to those in uniform, meanwhile, could lead to a fine of €600. The law has been dubbed the 'ley mordaza' or 'gag law' by opposition groups and the Spanish media, many of whom believe the law will curtail individual rights. It was passed in the lower house of the Spanish parliament on Thursday, despite all parliamentary groups except for the ruling PP voting against the legislation." They dont care about the peoples will, they'll get their laws through despite them.